I hope everyone is having a safe and fun Labor Day weekend. Maybe some of it was spent watching the season premieres of Doctor Who and Sunday Morning Coffee With Jeff. 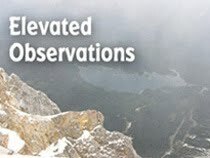 Please note that I have finally gotten around to updating the info in the Elevated Observations column that runs along the right side of this blog. 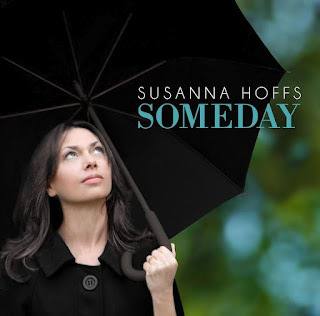 Here’s a review of the new Susanna Hoffs solo album, Someday, that I originally wrote for the Illinois Entertainer. I noted that I would have liked the song “One Day” better it had a rougher arrangement. A short time later, Hoffs released an online EP called Some Summer Days with what she called Ragtag Versions of “One Day” and two other songs from Someday. There were also two non-CD tracks. As expected, I liked the Ragtag Versions better. Hoffs has just announced a tour, including dates in Atlanta, GA; Vienna, VA; Natick, MA; Philadelphia, PA; New York, NY, and Chicago, IL. In other Bangles side project news, the Psycho Sisters, a duo comprised of Vicki Peterson and Susan Cowsill, who previously worked together in The Continental Drifters, are wrapping up work on their first CD. Now onto the Susanna Hoffs review. The Bangles first came together when Susanna Hoffs met Debbi and Vicki Peterson through a want ad looking for musicians into The Beatles. Hoffs turned to the 1960s again while writing songs for her latest solo effort, although the vibe on Someday is definitely more ‘Do You Know The Way To San Jose?” than “Help.” Given the current climate of indie rock, this collection of airy love songs could also connect with younger people who never heard of The Bangles. “Picture Me” exemplifies Hoffs’s vision for the CD, with a Burt Bacharach inspired arrangement that sounds like it could have sprung from the soundtrack of a 1960’s rom-com flick. “Raining,” which Hoffs wrote with Heartbreakers member Mike Campbell in 1989, and “Always Enough” are also appealing pop tunes. At times, Mitchell Froom’s orchestrated backdrops overwhelm the material, particularly on “One Day,” which otherwise could have had a bitter edge similar to The Beatles’ “I’ll Cry Instead.” Sometimes a song is better off without the extra sweetening.